Joe Root doesn’t think there are any major concerns with the fitness of James Anderson and Moeen Ali that will keep them out of action in the second game of the Ashes which is starting this weekend. Anderson didn’t look to be bowling in full rhythm on the third day of the Ashes opener. He, however, fetched England a wicket in the first session, but he needed medical attention quite a few times and that raised question marks over his fitness. But the English skipper Joe Root clarified that Anderson was not carrying any niggles before coming into the game. He was actually hit on the side when he was batting and that caused him a little bit of trouble when he came out to bowl, but that’s not something severe and after a rest of 4-5 days, he is going to be available for selection in Adelaide. Root was pretty confident about Moeen’s participation in Adelaide as well. The off spinner had a little bruise in his right hand and he found it hard to give the ball a lot of revolutions at Gabba. 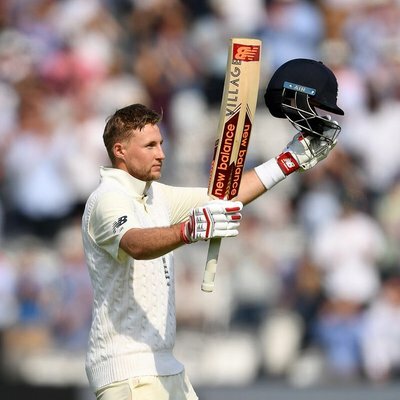 Although he bowled 30 overs in the first innings, his problem aggravated as the match progressed because of which Root gave him only 4 overs in the second overs and himself bowled 6 overs of off spin. While Root admitted that spinning the ball was difficult for Moeen with that bruise in his hand, he reckons the Worcestershire all-rounder will be able to get rid of that problem by the time the Adelaide game comes. The Adelaide game will be played under lights and that will be a first in the history of the Ashes. No Ashes test match so far has been a day night affair. This entry was posted on Saturday, July 21st, 2018 at 1:52 pm	and is filed under Uncategorized. You can follow any responses to this entry through the RSS 2.0 feed. Both comments and pings are currently closed.